Alan Greenspan: Economy will 'fade' because of entitlement burden He is referring to longer term growth rates. There’s no safe place to hide from the consequences of the biggest bubble yet - MarketWatch I commented on this article here. The preface to that book contains the perspicacious observations about Stock Jocks made by Joseph Penso de la Vega in a book called "Confusion of Confusions", originally published in 1688. B.S. flows from Demagogue Don in seemingly boundless quantities. Trump Wrong About Tax Law - FactCheck.org (When asked whether there is a federal law that requires him to give Congress his tax returns, Donald Trump responded, “There’s no law whatsoever.” As usual, Donald appeared confident in the truth of his representation when making a demonstrably false statement. Trump's disapproval rating is stunning considering the good economic numbers. If unemployment is spiking due to a recession before the 2020 election, the republicans are toast. On the other hand, Trump could win reelection with job and GDP growth to election day, plus a generally recognized favorable trade deal with China in his pocket. While I have numerous policy disagreement with representative Ilhan Omar (D-Minn), Donald and other Fake Conservatives need to be condemned for inciting violence against her. Omar is a convenient political target for "conservative" republicans, since she is a person of color and a Muslim who wears a hijab. For many Americans, that is three strikes against her. Making matters worse for her, she is prone to making some less than articulate statements and insensitive remarks. In context, she was trying to make the point that American Muslims should not be blamed for what a few Muslims did on 9/11. But making those points do not inflame the Trumpsters like the one who threatened to put a bullet in her skull. New York man charged with threatening to kill Rep. Ilhan Omar - The Washington Post (Patrick W. Carlineo Jr. of Addison, N.Y. who made the following recorded statement to an Omar staff member: “Do you work for the Muslim Brotherhood? Why are you working for her, she’s a [expletive] terrorist. I’ll put a bullet in her [expletive] skull.” That call was made on 3/29 and the "conservatives" are now trying to amp up the volume for their crazier members. Citing no authority other than his own divinity, Our Dear Leader claimed that he had the absolute right to deposit apprehended illegal immigrants in sanctuary cities. Donald believes that he has the absolute right to do whatever he pleases. Laws do not matter. Facts do not matter. Authoritarian leaders that Trump admires, which is a very long list, do not have to deal with "so called" judges placing checks on them. Ignoring the legal issues for now, I would just request the non-Trumpsters to think for more than one second about Donald's plan to capture illegal immigrants, transport them to a sanctuary city, and then leave them there. The illegal immigrant might stay or just leave. Then maybe ICE will apprehend them again, transporting them back again to the sanctuary city, or maybe they will run loose and have lots of babies that become U.S. citizens. The rants and ravings of a demagogue like Trump are successful only on those who are uninformed and who not very bright. I would not hold my breath waiting for a change in either condition. Donald is after all an expert on everything and he acquired that expertise, not by study and certainly not by reading, but through some kind osmosis process through his gut where the repository of all of Donald's knowledge can be found stewing in the stomach acid juices. If only Britain had followed his advice and sued the EU to gain "leverage" rather than attempt to negotiate an exit plan, the U.K. would be rid of its Brexit problems. Donald's legal theory was that the EU is liable somehow for England's decision to leave the European Union, a case that would be heard in the European Court of Justice where home cooking would be the only recipe on the menu. Donald's legal strategy has always been to sue as a means to gain "leverage" and to force others to settle his frequently frivolous claims to avoid potentially ruinous litigation costs. That is what he means by leverage. 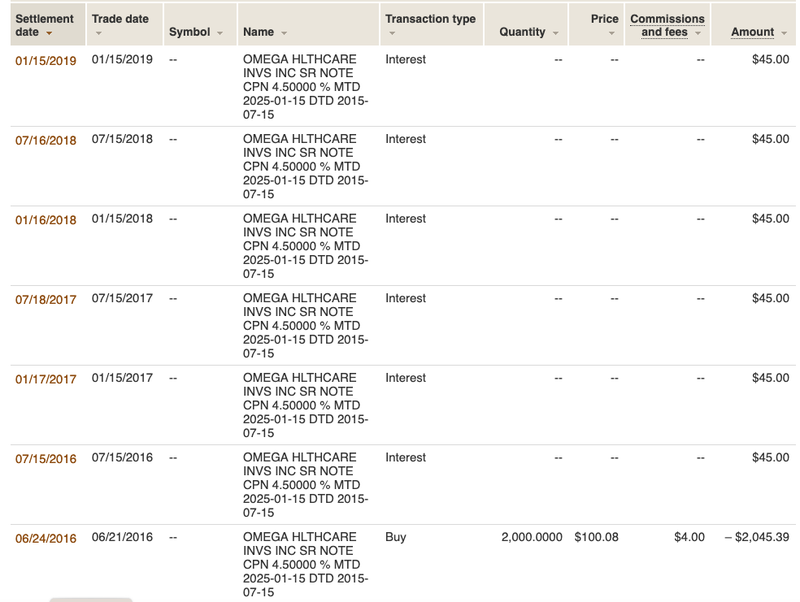 Over the past couple of weeks or so, the health care stock sector has been weak based IMO on concerns that the Democrats will have the votes to implement Medicare for all and price controls for drugs. I do not view that fear as justified for the foreseeable future. No republican politician would vote in favor of those Democrat plans and many Democrats would vote against them as well. Since I jettisoned this position, health care stocks have been under pressure, and have underperformed SPX, due to fears about the democrats' health plans including Medicare for All. 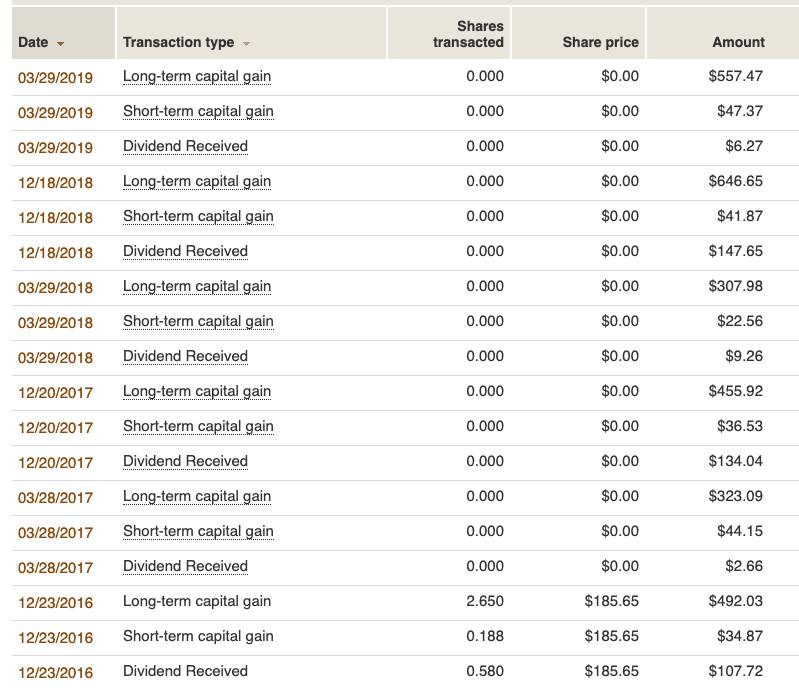 A majority of my total return came from dividends which made this fund tax inefficient compared to the Vanguard Health Care ETF (VHT) that had a better overall before tax performance. 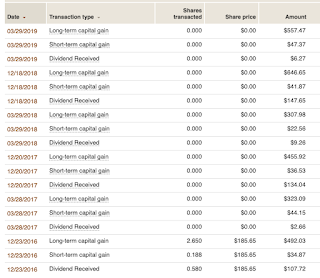 I started to take the dividends in cash after the 2016 year end distribution. This position was opened in 2011 when I exchanged out of the Vanguard Inflation-Protected Securities Fund into this fund. Item # 3 Exchanged VIPSX for VGHCX (7/6/2011 Post). 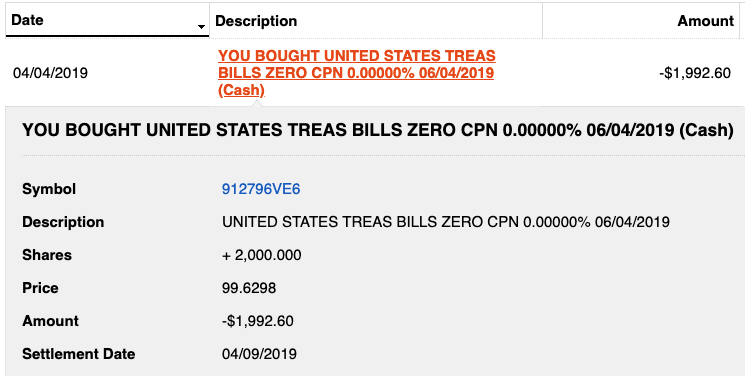 I will gradually redeploy the $13,510 in proceeds into the healthcare ETFs FHLC and VHT which I can buy commission free and into PRHSX discussed below. Rationale: Jean Hynes, the manager for VGHCX that replaced a retiring manager over 5 years ago, has flopped. VGHCX was a great fund to own under its now retired manager Ed Owen. On the other hand, the manager for the T.Rowe Price Health Science fund has been smoking particularly in comparison to Ms. Hynes. 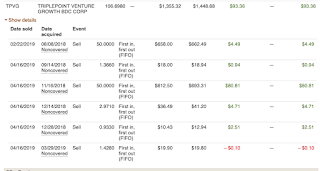 I am continuing to pare my intermediate term bond allocation and moving proceeds into shorter term bonds and CDs. 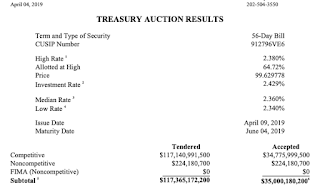 This CD was more attractive than a Treasury maturing in May 2020. I have a 2.75% WFC two year CD maturing on the same day. Maybe short term rates will go back up by then. I now own 8 bonds. 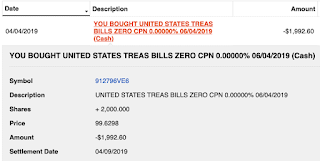 I would not make this purchase in my Vanguard Roth IRA account since idle cash earns more in the Vanguard Prime Money Market fund. I have nothing to add to those previous discussions. 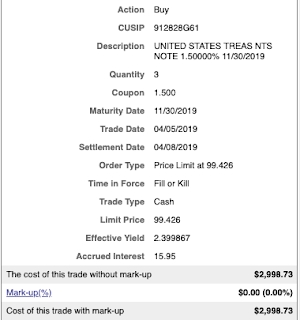 Oddly, my 1 bond was the only trade on 3/28. 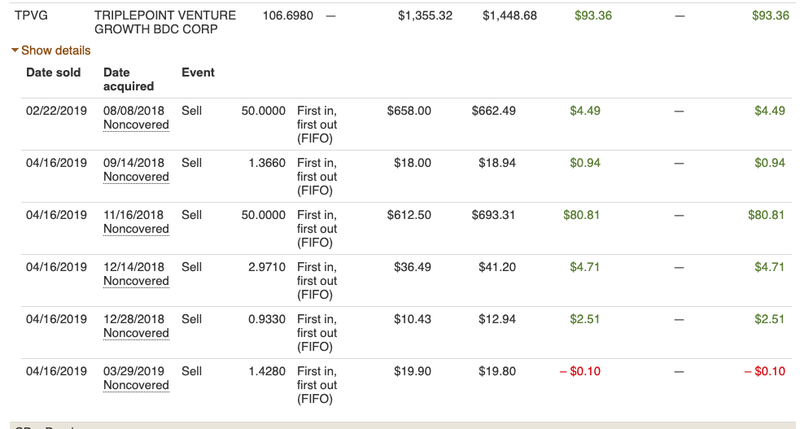 It almost makes me fell like a big hitter, watch out, Southgent is about to move the market price with a 1 bond order. 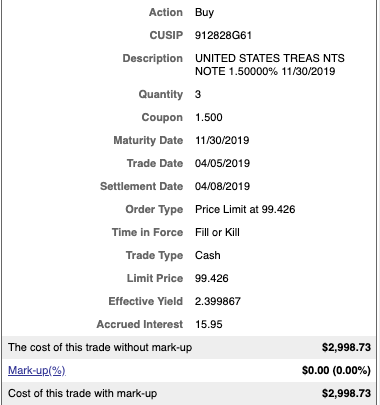 When I see a 2.75% YTM on a A3 rated bond maturing in about 4 years, I am not going to be a buyer which then raises the natural question whether I want to be a seller. 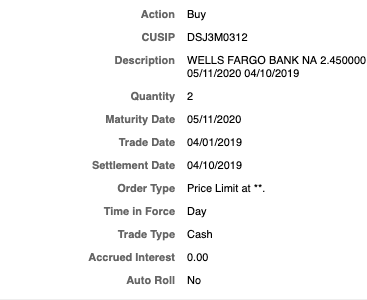 I sold and will simply wait for another interest rate spike before considering a repurchase closer to the maturity date and preferably at a lower price than my last entry point. 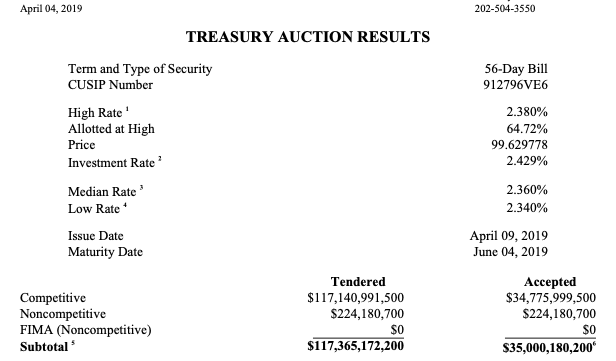 This bond is priced by the Bond Ghouls more like a Ba1/BB+ rated bond maturing in 2025. I would go with the rating given by the Bond Ghouls for Omega which would be the high end junk ratings of Ba1/BB+, not the Baa3/BBB- investment grade ratings assigned by Moody's and S & P respectively. The Omega YTM set out above is actually moving toward Ba2/BB in its pricing. 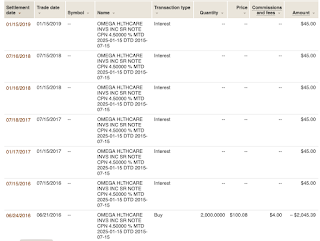 I view nursing home REITs to be the riskiest REIT sector for a variety of reasons, including (1) potential changes in Medicare/Medicaid reimbursements (2) the solvency and leverage of many of their tenants which results in frequent bankruptcies and (3) the complexities and risks of operating nursing homes in general (e.g. litigation, operating expenses). I am not likely to buy this bond back. 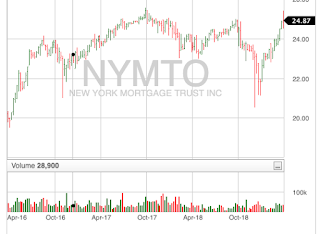 That is about as good as it gets now for a 50 share REIT preferred lot. 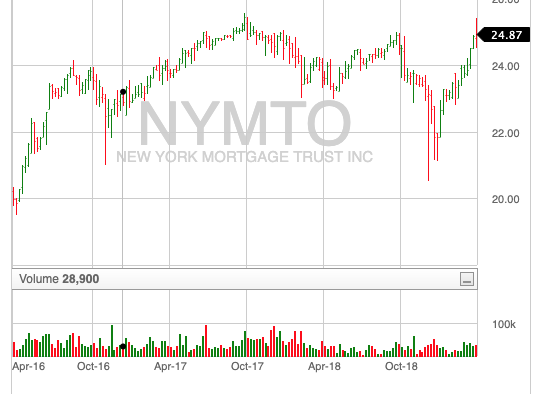 Looking at that chart, a possible reentry point would be a waterfall type move that results in a price below $23, assuming no material change in the credit risk of the issuer.